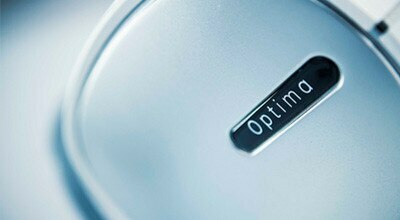 The OptimaTM XR646 is designed to help your team perform exams quickly and with ease. With the AutoRAD package of automated features, you can feel good knowing that exams are efficient, patients are comfortable, and radiologists are confident. See the excellence in every study. The striking image quality of the Optima XR646 helps support accurate diagnoses, confident decisions, patient satisfaction, and frequent referrals. Use GE's proven, proprietary advanced applications to gain easy, instant access to greater confidence in areas of clinical uncertainty, in ways that help you work fast and productively. Help attract referrals and extend the breadth of your clinical capabilities with the Auto Image Paste and Dual-Energy Subtraction advanced applications. Make your first decision the right one. Obtain detailed images in every exam with GE's proven, no-compromise FlashPad wireless digital detector. Learn more about the FlashPad detector. Boost your clinical confidence with the FlashPad detector, which is capable of acquiring multiple images in less than a second-enabling advanced applications such as Auto Image Paste and Dual-Energy Subtraction. From tube to detector, the entire image chain is designed by GE for greater imaging efficiency, with continual investment in new technology to make it even more efficient. Put more detail into your decisions. 68% DQE at 0 LP/mm delivers highly detailed images to support your diagnostic accuracy and clinical confidence. Eliminate blind zones when imaging with the FlashPad's single-panel, non-tiled construction. The high-end Cesium Iodide (Csl) scintillator optimizes light channeling to produce high-quality images at a low X-ray exposure to the patient. Dual-Energy Subtraction - See bone and soft tissue more clearly. Separate soft tissue and bone structures by making one acquisition with two exposures at different energy levels in less than 200 milliseconds. 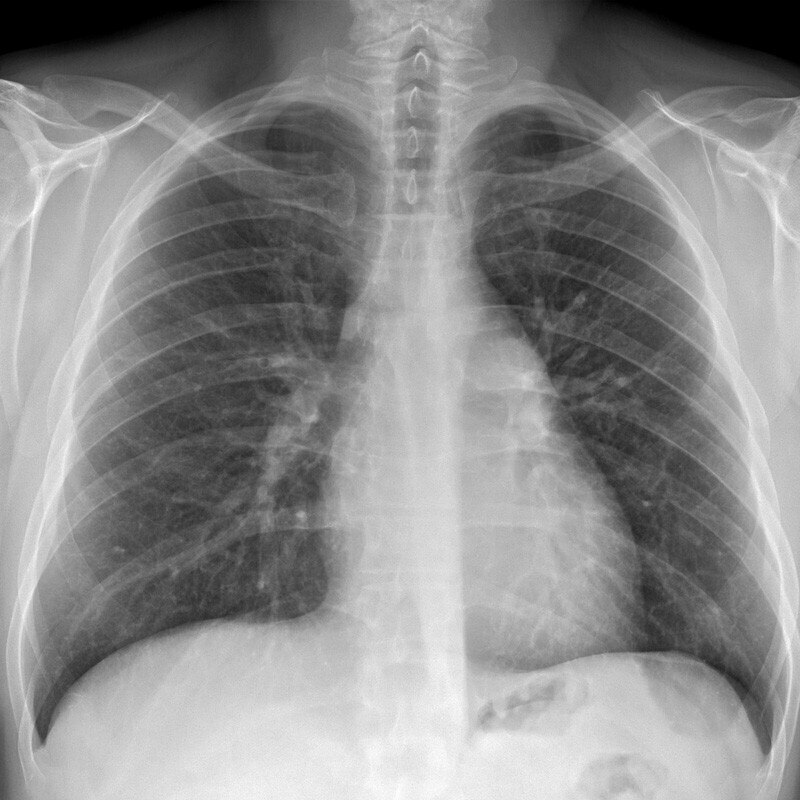 Three images are generated providing three separate views of the chest: a standard, a soft tissue, and a bone image. Complementary images can be of great value in daily practice with just a small increase in radiation dose, especially beneficial for less-experienced radiologists. Images provide excellent visibility of details in some regions of the chest, helping you identify soft-tissue details separately and confidently locate lesions. Helps make bone lesions and calcifications visible. Auto Image Paste - Get seamless long-bone or full spine images in one fast, low-dose exam. 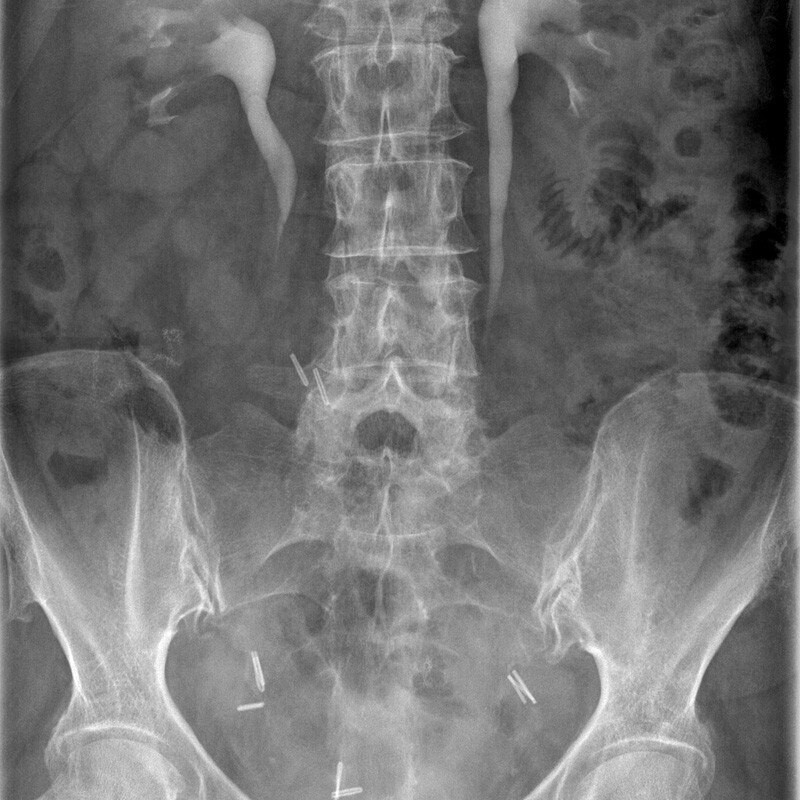 Auto Image Paste automatically acquires multiple overlapping images of larger anatomy such as the entire spine at the wall stand. Complete coverage of the anatomical region of interest through the automated movement of the overhead tube suspension and the wall stand detector. Facilitates measurements in orthopedic applications, thanks to excellent resolution and a large dynamic range. Synchronize tube and detector tracking with Auto Tracking, which can reduce the need for retakes and speed up your workflow. Automatically send acquired images to multiple destinations with Auto Send. Optimize set-up time and patient throughput. Optimize time spent on collimation adjustments with Auto Field-of-ViewTM. Help improve your clinical confidence with consistent image quality and the seamless acquisition of image sequences. Automatically process images after acquisition with protocol-specific and customizable processing parameters. Automatic collimator edge detection with Auto Shutter. Minimal down time for QA and no user calibrations required with Auto Quality Assurance. Automatically acquire long-bone or spine images with Auto Image Paste. Simplify exams in a Flash. Do more with your X-ray system thanks to the powerful functionality of FlashPad, GE's durable and reliable wireless digital detector. Its convenient square shape, two handles and the mobile detector holder accessory allow you to position the wireless FlashPad detector with ease and flexibility. Can accommodate large patients easily with the large, 41 cm x 41 cm FlashPad detector. Learn more about the FlashPad detector. Preview images in less than 3 seconds to instantly evaluate image quality. Use either the the workstation's keyboard or touch screen interface to adjust exam parameters. Easily select preset field-of-view selections-in either portrait or landscape view-on the intuitive, straightforward touchscreen user interface located on the overhead tube suspension. Move the table in 8 different directions for greater flexibility during exams. Image an ankle or foot quickly and easily with the patient standing thanks to the 1.8 m vertical travel range of the overhead tube suspension, which puts the OTS as low as just 17 cm from the floor. Combining a large table top with a wide travel range (68 cm x 28 cm) and a long horizontal detector travel range (85 cm) in the table housing allows for full radiographic coverage with minimal patient movement. Make it easy for children and elderly, wheelchair, or impaired patients to get on and off the table with low vertical positioning just 50 cm (19.7 in) off the floor. Accommodate patients weighing up to 400 kg with the table's high weight capacity, and conveniently move the elevating table up and down while moving the table top for fine positioning. With Appslinq1, get live application support from a clinical expert over the phone and through your equipment console. Our remote experts can help solve procedural issues in real time-as you encounter them. No more distance: these clinical experts see exactly what you see on your screen and can even "take your hand" to personally show you how to navigate the imaging system faster and more efficiently. 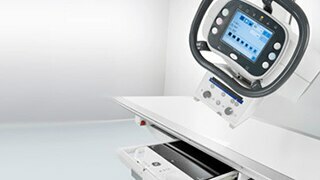 The Optima XR646 is designed to help you improve your imaging operation for greater productivity and uptime and to boost your clinical capacity. Its smooth workflow and easy-to-use features help ensure that both staff and patients are satisfied. Grow your reputation and boost your business. Invest in the proven legacy and exceptional imaging and low-dose performance with GE's no-compromise FlashPad digital detector.Learn more about the FlashPad detector. Use GE's proven, proprietary advanced applications to gain easy, instant access to greater confidence in areas of clinical uncertainty, in ways that help you work fast and productively. 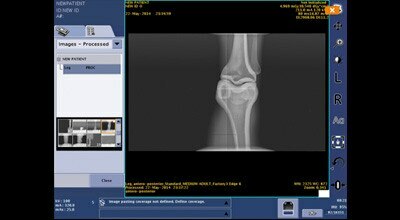 Help attract referrals and extend the breadth of your clinical capabilities with the Auto Image Paste and Dual-Energy Subtraction advanced applications. Boost efficiency with live access to expert application support via AppsLinq*. Program users have stated that they were able to acquire more diagnostic data while reducing examination time. This higher level of productivity and clinical excellence can help increase the number of daily appointments and serve a greater number of patients without any change in operations. Preview images in less than 3 seconds to instantly evaluate image quality and help avoid retakes. Use either the workstation's keyboard or touch screen interface as you choose during exams. Easily select preset field-of-view options - in either portrait or landscape view - on the intuitive, straightforward touchscreen user interface located on the overhead tube suspension. Turn data into dose efficiency. Detector Exposure Index (DEI) gives you the ability to monitor variance in image quality and dose, and determine "dose creep" for fixed techniques. It can also be used to calculate the average dose by anatomy, view, and patient size. Dose data can be used to establish consistency in protocols and standardize image quality room-to-room and site-to-site. Minimize downtime by instantly connecting your system with a GE digital services expert, fully qualified to resolve any issues, often remotely via GE's InSite remote service. Send an e-message to a technical expert any time directly from the console. No need to reach the call center; your message is received directly by a technical expert. iCenter1 is an asset maintenance and management internet application-available to you 24/7. This software provides data and analytics on asset status, maintenance history, utilization, location, and planning. The goal of iCenter1 is to help improve decision-making and support improved hospital operations.